VMworld 2017 is held in Las Vegas and Barcelona. We have already published few posts from the available announcements. There are some good news this year for admins willing to build an elastic datacenter. They have a possibility to purchase a plan for VMware vCloud on AWS. VMware cloud on AWS. 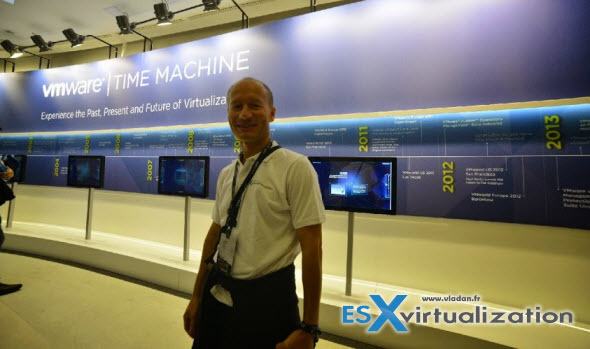 A service which has been announced during last year’s VMware along with VMware Cloud Foundation. VMware Cloud on AWS is actually powered by VMware Cloud Foundation which has vSphere, VMware vSAN, and VMware NSX packed in. The show was the biggest one in Barcelona in its history. It is actually the 10th European show. I met many old friends and made new friends as well. I had a lots and lots of people coming to see me, to say hi as they recognized me via the photo I have in my blog profile. Many of them have congratulated me to the second place in the Top vBlog competition this year. A great achievement they said, because of the quality and consistency of posting through the year. It is something which I like to hear as I put a lot of energy into posting. And it really keeps me motivated for the future too !!! I’ve met again a very large group of Czech IT folks (the group is getting bigger and bigger). Their Czech VMUG leader, @novakkarel, is a friend of mine. It seems that a very good energy is actually there in Czech Republic as it is a quite small country (still much bigger than Reunion Island) so the guys they need each other when dealing with the IT. And so they keep together and they are full of enthusiasm. Keep it up! Another photo taken by a fellow blogger @lessi001 in the VMTN zone where all the bloggers were, and also the vBrownbag crew was recording their videos. I had a good fun of creating my first video – VMworld Barcelona 2017 and some time-lapse goodness. It is a mix of Time-lapse sequences with short video clips from the show. 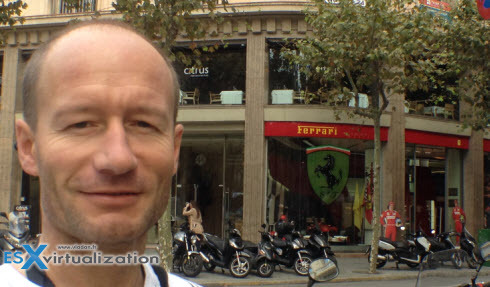 Usually, another friend of mine @lenzker is the one doing it, but as Fabian was attending the VMworld US, he wasn’t present in Barcelona. I got an opportunity to have created my own personalized hand spinner. 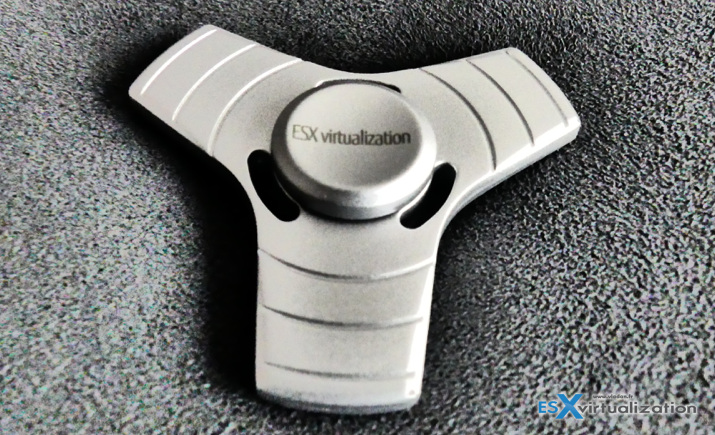 The ESX Virtualization text logo was engraved into metal by a laser beam… Unfortunately the time I realize the opportunity to shoot a video of it, the process was already finished! And the animated version looks like this -:) The product is made from metal and Fujitsu was the sponsor. I haven’t had much time to attend lots of sessions, but as most of them were recorded, they will be available within a few weeks online. There is also already a list of free sessions from Barcelona which I’ll link below so you can watch. Then they changed and distribute those tickets to the ones who really want them. Not everyone is willing to take metro or bus and prefer taxi (which are quite cheap BTW) but for folks which do not have much budget, this option is a very good option. Those tickets were available at the Information desk on the right-hand side, when entering the main entrance. This year the main entrance was not in the same building, and it completely makes sense! Keep it this way VMware! 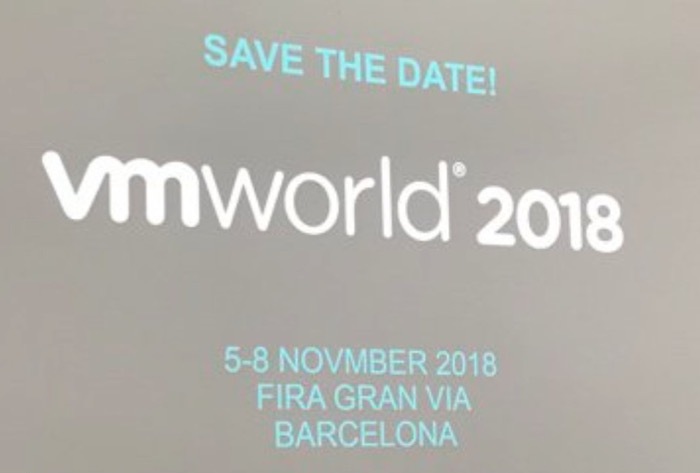 As being said, the show was a great success for VMware, with over 11 000 attendees this year, despite those tragic events happening just a few weeks before, on Las Ramblas. 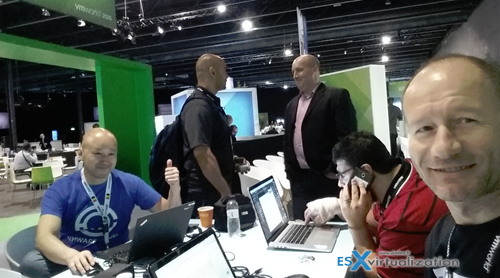 For those of you interested, next year VMworld Europe is 5-8 November in Fira Barcelona! Yes, due to great success it is Barcelona again. See you there!!!!! 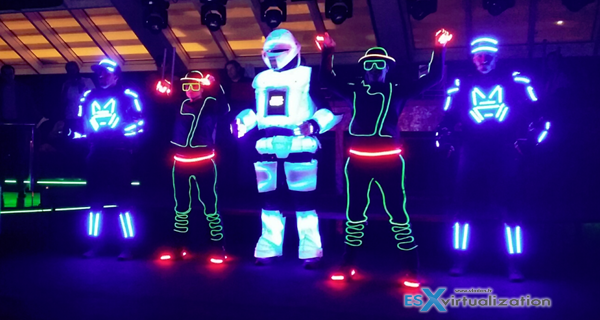 VMworld is the best tech conference you can attend, but we know that not everybody can. That’s why we publish as much as we can, and share as much as we can while we remotely follow the Las Vegas event and we’ll be at the Barcelona event, physically present. August 27-31, 2017 at the Mandalay Bay Hotel & Convention Center in Las Vegas, Nevada. 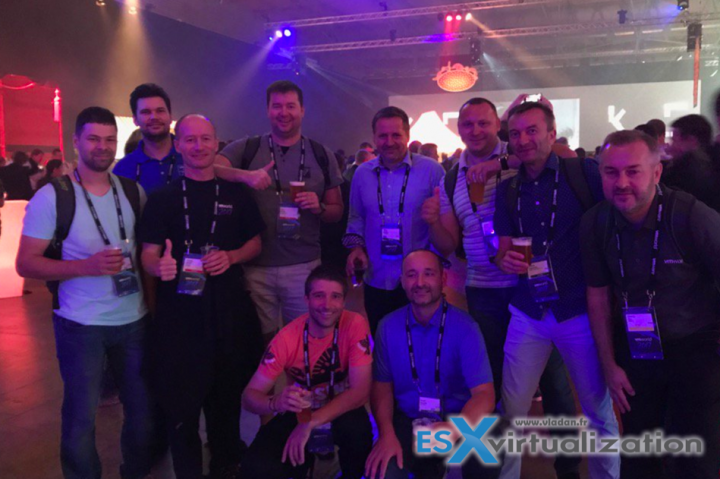 VMworld 2017 VIRT1374BU Virtualize Active Directory, the Right Way! VMworld is a place to be. 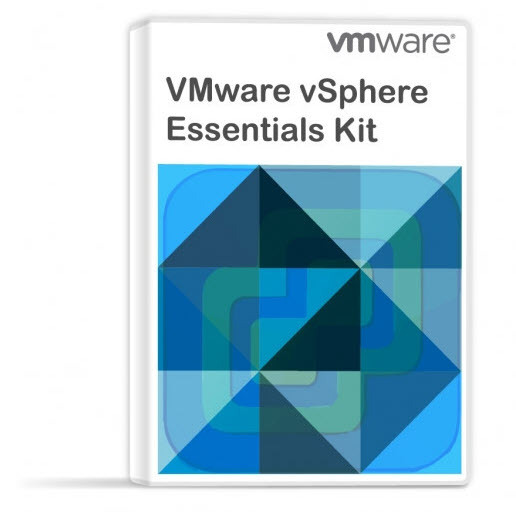 If you cannot attend, you can follow many blogs like ours, check VMware Youtube channel for updates etc. You’ll, however, miss the big part – Networking. You can easily find new friends, you can meet your favorite bloggers or shake hands to a presenter you appreciated after his/her session. This is a way different than staying at home. 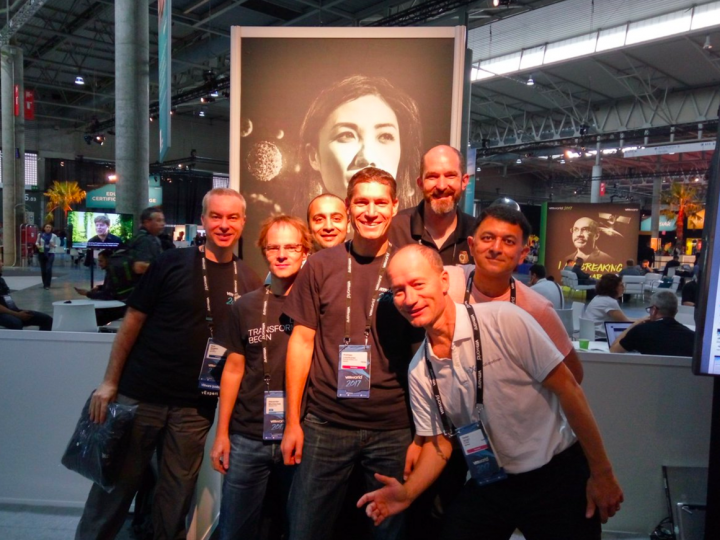 Think of it for next year and convince your boss to send you to VMworld.